Experts are of the opinion that numerous UFO sightings are really no proof of aliens existence in our world. More so when we don’t have any conclusive evidence of a UFO being closely seen by a group of people in any industrial nation. Summary: The British government will publish files on reported UFO sightings as part of a shake-up of its laws on freedom of information. Among the documents to be published is the «Rendlesham File,» which deals with one of the country’s best known sightings of an unidentified flying object. LONDON (Reuters) — The British government will publish files on reported UFO sightings as part of a shake-up of its laws on freedom of information. Summary: A new book offering evidence of USOs — Unidentified Submergible Objects — is written by one of the world’s most respected authorities on UFOs, Timothy Good, and his findings are supported by one of Britain’s most senior military men, retired Admiral of the Fleet Lord Hill-Norton. Extracted from «Unearthly Disclosure» by Timothy Good. Summary: Aleksandr Plaksin is a military geophysicist. He is an interesting individual in Soviet UFO history; he played a prominent role in the secret research conducted by the Soviet military. Summary: The so-called Rendlesham File, now available for public inspection, is a fat catalogue of increasingly despairing correspondence between the Ministry of Defence and members of the public after the sighting of unexplained lights in Rendlesham Forest, near the RAF base at Woodbridge, Suffolk, in December 1980. Summary: Newspaper story of the Chinese air force having a prolonged up-close encounter with a UFO, which the pilot described as an aerial cat-and-mouse game played between the object and a jet fighter ordered to intercept it. SHANGHAI, Nov. 05, 1998 — (Agence France Presse) The air force had a prolonged up-close encounter with a UFO last month that one fighter pilot described as «just like ones in foreign movies,» a government-controlled newspaper reported Thursday. A Hebei Daily report — carried in the news digest Baokan Wenzhai — gave a detailed pilot’s account of an aerial cat-and-mouse game played between the object and a jet fighter ordered to intercept it. Summary: The Russian Ufology Research Center has a collection of «hydrosphere aspect» sightings The secret files of the Soviet Navy contain much valuable information on UFO sightings. Soviet military researchers quite thorough. The files have been largely inaccessible, even after the fall of the USSR. But I was able to collect some interesting information. Summary: Hundreds of scientists and engineers conduct thorough studies of the unidentified phenomenon. 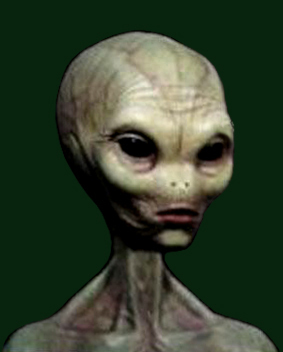 According to Chinese ufologists, aliens live among humans. 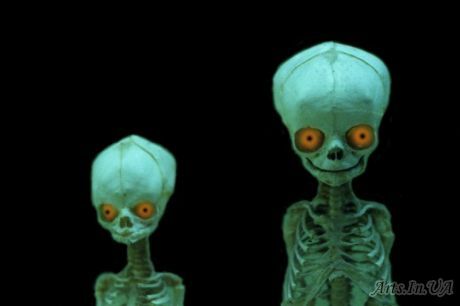 Ugologists also claim that recently aliens started to show more interest in China. Most recent UFO was spotted in Nanking, China. Hundreds of scientists and engineers conduct thorough studies of the unidentified phenomenon. According to Chinese ufologists, aliens live among humans. Ugologists also claim that recently aliens started to show more interest in China. Most recent UFO was spotted in Nanking, China. Summary: From a strange funnel of fire in Alberta to a triangle of light flying over Sydney, N.S., reports of unidentified flying objects increased a staggering 42 per cent last year in Canada. WINNIPEG (CP) — From a strange funnel of fire in Alberta to a triangle of light flying over Sydney, N.S., reports of unidentified flying objects increased a staggering 42 per cent last year in Canada.